Look what we just found in a little box in the back! 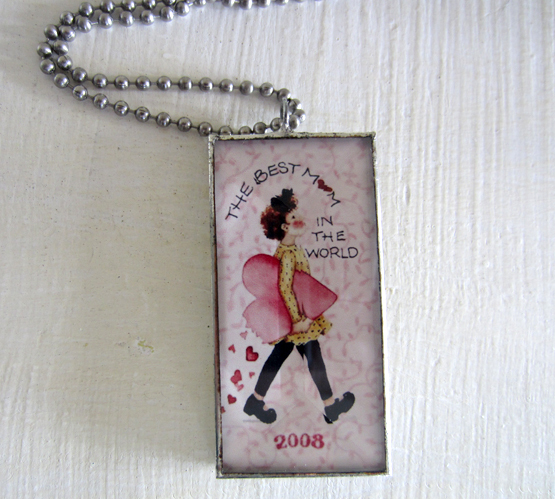 "THE BEST MOM IN THE WORLD," Very Special, 2008 Collector's Edition "For Mom" Pendant. 1" wide, 2" long, comes with a 24" chain, says "Limited Edition 2008 on the back.